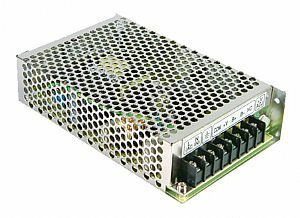 HDR-100-12N is an ultra slim 90W 12V 7.5A DIN rail power supply, adapted to be installed on TS-35/7.5 or TS-35/15 mounting rails. The body is 70mm(4SU) in width, which allows space saving inside the cabinets. 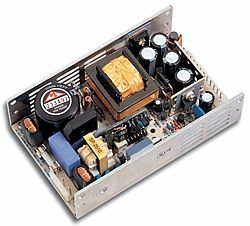 The unit adopts the full range AC input of 85VAC to 264VAC (277 VAC operational) and conforms to EN61000-3-2, European Union regulations for harmonic current. 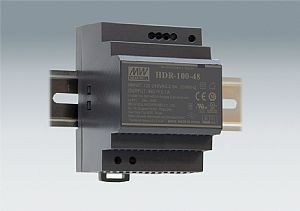 HDR-100-12-N is designed with plastic housing, which effectively prevents the user from electrical hazards. With working efficiency up to 88%, the unit can operate from -30C to 70C under free air convection. 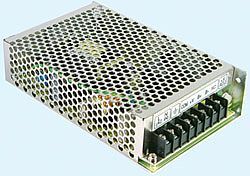 It is equipped with a constant current mode for over load protection, fitting various inductive and capacitive applications. To complete the protection functions and safety certifications the HDR-100-12N is approved for home automations and industrial control apparatus to IEC60950-1,UL508,UL60950-1,EN61558-2-16.